Are you looking forward to watching spectacular nature images? Then this post is definitely for you. 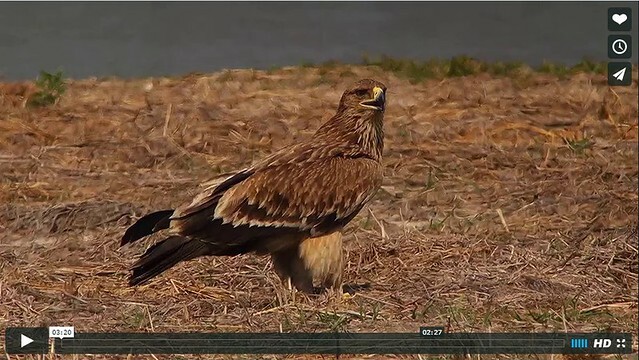 After a great video search on different platforms we bring the best examples of digiscoping images. Using this photography technique, which involves attaching a camera to a spotting scope, we can capture perfect images of all kinds of wild animals. The potential of magnification power of the scope attached to a camera will give you beautiful results, as you will see below. Choose the option HD videos to view them with the best definition possible. Wild birds are undoubtedly the queens of digiscoping. It is the most popular kind of photography and video making in the world. Just type the word “digiscoping” in Google and you will see that almost all the footage is about these fascinating animals. But birds, like many other animals, are extremely vulnerable creatures. Thus the important task of national and foreign associations that fight for their protection. One of these organizations is the English well-known Royal Society for the Protection of Birds (RSPB), who has recorded this magnificent video of some cliffs in the UK. The equipment used for recording is a Sony a6000 Sony SEL3018 and a Swarovski AT80HD spotting scope. It seems that the American robin (Turdus migratorius) knows no limits: even a snake cannot resist this brave little bird. As in the previous video, if there is something especially fascinating about watching birds eating things almost of their own size. Kingfishers are specialists at eating huge preys. If there was a ranking of the top 50 most beautiful birds, I think the collared pratincole (Glareola pratincola) would be high on that list. The video is recorded with the fluorite Kowa scope and a Nikon camera. It has an exceptional quality and enhances even more, if its posible, the beauty of this lovely bird. Birds, like humans, also have to build their home. The black-winged stilt (Himantopus himantopus) creates its own with care and determination in the middle of the water. Although the distribution of the new house is simple, building a nest in a pond from nothing is no cake. Not only raptors fly and do aerial pirouettes in the air. They also can chill out on the ground. This imperial eagle is resting due to the summer heat. Some authors show in their footage all kinds of animals and landscapes. There is a rich variety and it is never bored. I this digiscoping video, te moon is show at its finest. You can see all the craters and grooves that decorate its surface. Have you recorded some video that you feel proud of? Share it in the comments section or on our Facebook. It is possible that your video will be in the following posts about digiscoping! Tell us how you achieved the images, what equipment you used and what your experiences with the magical world of digiscoping are. Or maybe you want to tell us why you are thinking of jumping into this type of photography. Go ahead, it is never too late!